My first tattoo. Marcus aurelius the last good emperor of rome and the philosopher king. 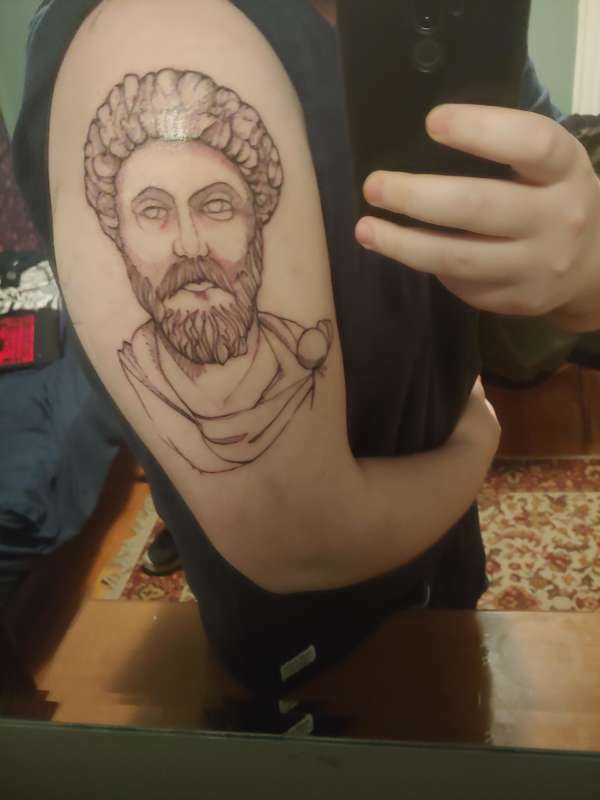 Got it because I love his writings on stoic philosophy.